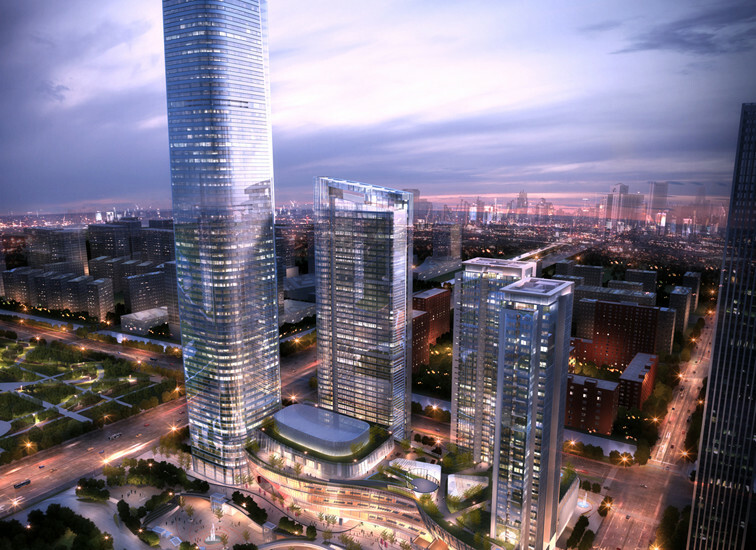 Part of the World Trade Centers Association, which was established to promote global trade, the World Trade Center Nanjing included four towers—the tallest standing 238 meters (1,076 feet) high. They include an intelligent office building as well as space for a luxury hotel, a retail centre, residential units and a business club. The 68-storey office building will offer Class A office space with advanced communication technology and automated management.